THERE IS APPROX. 156 ACRES ON THE S.E. CORNER OF PRATT & CASTLE AND 129 ACRES ON THE S.W. 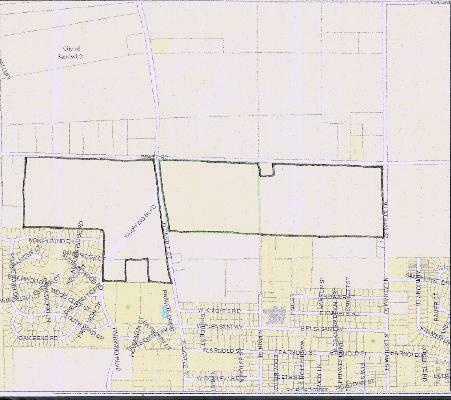 CORNER - LAND PRICED AT $19,900 PER ACRE. ADD. PINS - 19-23-400-002/19-24-300-015/ 19-26-201-014. POTENTIAL USES INCLUDE RESIDENTIAL FOR HOMES/DUPLEXES/TOWNHOMES, COMMERCIAL, & MIXED USE/SENIOR LIVING, ETC. GREAT OPPORTUNITY IN A GROWING AREA! THIS IS THE PRIME PIECE OF LAND FOR FUTURE DEVELOPMENT IN THIS HOT COMMUNITY. Listing provided courtesy of Karges Realty.